The biggest disappointment to me personally with the 13-inch rMBP announcement was the lack of any quad-core CPU options. Although they carry the same Core i5/i7 branding as the chips offered in the 15-inch rMBP, these parts are strictly dual-core. 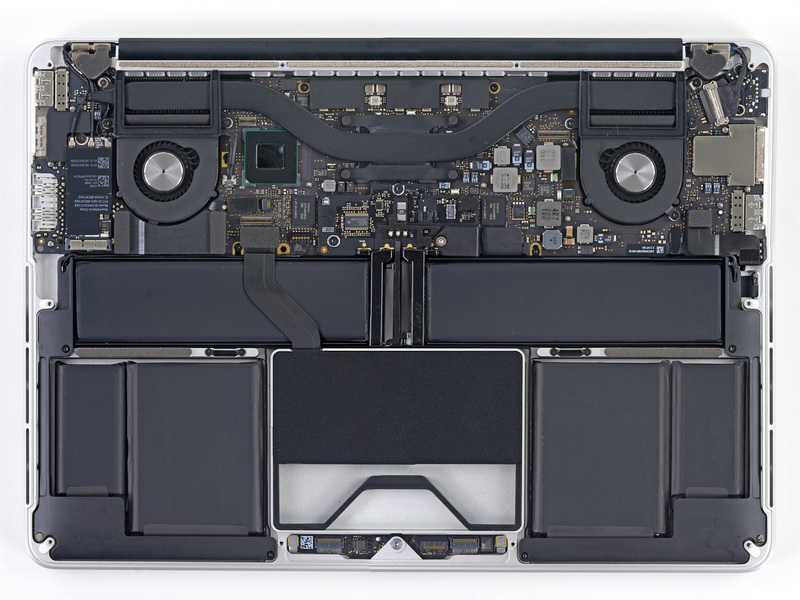 With a smaller chassis, the amount of heat Apple's cooling solution can effectively dissipate goes down. 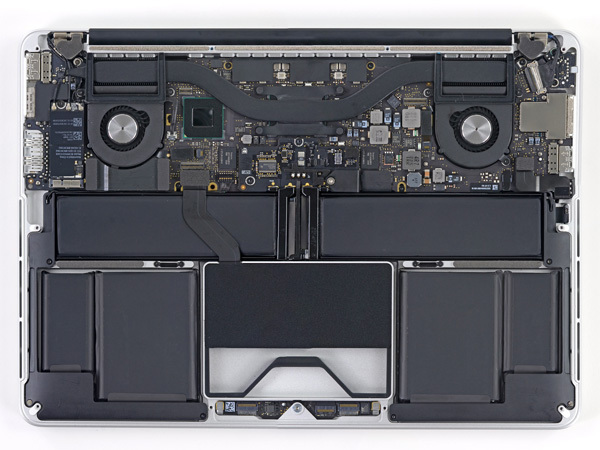 While the thermal budget in the 15-inch rMBP was 45W, the move to a 13-inch chassis drops it to 35W. Thankfully, Intel does offer 35W quad-core CPUs, a first for Intel starting with the Ivy Bridge introduction. Unfortunately Apple didn't seem keen on using them. For starters, having a quad-core upgrade option would likely add complexity to the lineup, and secondly the 35W quad-core parts are cost prohibitive. At almost 70% more expensive than the dual-core Core i5 Apple used in the standard configuration 13-inch rMBP, I can see why Apple wouldn't want to throw a 35W quad-core CPU in for free. At the same time, I would've at least liked to see a build-to-order quad-core option. By default both configurations of the 13-inch rMBP come with an Intel Core i5 3210M. That puts base clock at 2.5GHz with max single core turbo at 3.1GHz. Max turbo with both cores active is 2.9GHz. Hyper Threading is enabled on the chip, which presents OS X with the ability to schedule to four logical cores despite there only being two physical cores on the CPU. Apple offers a single BTO CPU upgrade to a Core i7 3520M. Frequencies go up with the i7 upgrade (2.9GHz base, 3.6GHz max), which can definitely come in handy in keeping the system feeling as snappy as possible. The shared L3 cache is also a bit larger on the 3520M (4MB vs. 3MB). Both CPU options integrate Intel's HD 4000 graphics core. Base and turbo GPU clocks are nearly identical to the HD 4000 in the 15-inch model (650/1100MHz). The move to the smaller chassis also meant ditching the discrete GPU. Although Apple could have technically included a discrete GPU, it would've come at the cost of a smaller battery (dGPU needs more PCB area which would take real estate away from the battery). The loss of the discrete GPU isn't actually as big of a deal as you'd normally think. Intel's HD 4000, the only processor graphics option on the 13-inch rMBP, is clearly capable of driving a 5MP display since it does just that in the 15-inch rMBP. That very same GPU, running at similar clocks (1.1GHz vs. 1.25GHz max GPU turbo), only has to drive 4MP with the 13-inch rMBP. The bigger issue with ditching the discrete GPU is gaming performance. Although Intel's processor graphics have come a long way since the days when it was unusable, we're still roughly two years out from Intel's graphics being what I'd consider desirable. Although it's possible to game on the 13-inch rMBP, most modern titles won't be able to post good frame rates on any reasonable resolution. Although the GeForce GT 650M in the 15-inch rMBP could actually drive some titles at the display's native resolution, the same really can't be said for Intel's HD 4000 in the 13-inch system. I firmly believe that Apple designed the rMBPs with Haswell in mind, and the 13-inch model is the embodiment of that. With Haswell, the lack of a discrete GPU shouldn't matter as much although if you're not a gamer I'm not sure the lack of a dGPU is really an issue today either. Thanks for the thorough review! I was really looking forward to the 13" version of the rMBP as a possible desktop replacement machine for development, but I guess I'm going to pass this year. I would encourage you to pass. This 13" rMBP has COMPLETELY lost it's "Pro" name. Dual-core with no dedicated GPU, only 8GB of RAM, paltry amounts of storage, and a screen that's only good for resolution, not for quality, makes this a stupid choice for any art professional. The thing can't even run a Safari window with Facebook on it without dropping below 30fps! Add the $1,700 price tag to all of this and you have to be out of your mind to buy it. And trying to multi-monitor is going to drive you nuts performance wise. "You don't sacrifice display quality at all in the move to the smaller panel. Brightness, contrast and color reproduction are all great." This line particularly bugged me, which shows Anand's bias for Apple yet again. Brightness is good, not great, and color reproduction is horrendous. You DO sacrifice a lot in switching to these displays. Artwork on this display is color suicide. And I haven't seen a computer screen have after images like you described in well over 6 years. In my opinion quality has gone WAY down. So not only is your built-in display crappy for work, but if you plug another screen in then suddenly you've maxed out your CPU's performance, and that's before you've even started working. Nice Rant. Too bad it is nonsense. The screen has the best contrast of any tested and the second best color accuracy. Also this is an IPS screen with superior color stability vs angle of view. Much better than the TN screens that occupy the vast majority of laptops. It is a fantastic screen in terms of resolution, color accuracy, contrast and color stability. Image retention is the only real fault and if it was a significant issue, return it. As far as it losing "Pro" status for not having quad core/discrete GPU, that is no change, it was like that last year as well. If this is your definition of Pro, I am sure you can find a suitable cheap Dell that has quad core. IPS means next to nothing. It's just one small part of the entire range of components and technologies that go into making a good display. IPS is chosen for high resolution displays for different reasons other than color. And it's Delta E value gains nothing from being second best, as best is so far ahead of it it's ridiculous. Anandtech's method of obtaining Delta E is taking the best value after repeating the test multiple times, and with how close it is to so many other monitors, and how even a screen being on for 5 minutes versus 10 minutes can affect screen color tests small amounts, it actually isn't that hard to summarize the test results by saying that it essentially has the same color representation as the 5 notebooks behind it. And Color Space is VERY important for artwork. It's nice to have a good Delta E but without a wide color space, you're still shooting yourself in the foot and your results will be noticeably inconsistent and will require a lot more fiddling within your editing programs to get right. And my definition of Pro is what the MBP used to be, a powerful laptop that could reliably be used for professional work when you aren't at your desk and that sacrificed some weight and size in order to deliver the power that you need. This MBP does not live up to the MBP name and should just be a regular Macbook (but of course they got rid of those and just turned the MBP's into normal Macbooks). 95% NTSC screens are just about useless for 99.99% of users. We live in an sRGB/Rec. 709 world, and that should be the goal for most screens, and the Retina MBP is very close to this much more important standard. Actually Anand should actually report the sRGB match in his reviews since it is so much more important for most users. Wider gamut than sRGB screens simply cause more problems than benefits, causing jarring color inaccuracy as you move back and forth between color managed and non color managed applications. It's not for 99.99% of users, MacBook Pro's were meant for professionals, but now because Apple wants more money, they got rid of the regular MacBooks and put crappier hardware in their Pro's. So for the people who buy the Pro's because they need a Pro machine, a 95% NTSC DOES matter. I have been waiting for this review, because I already upgraded from an older 15" dual-core MacBook Pro to this laptop. I did notice the minor "choppiness" when scrolling web pages, but it's not intolerable. I was expecting the HD4000 to be a total dog at 3D. To my surprise it wasn't all bad. To be honest though, I play mostly older games. The display is easily...hands down...no questions about it...the best I have ever used. Game over - thank you for playing. Now, when I look at non-retina displays, I immediately notice the difference - and I don't like what I see. I desperately want a 27" Retina Thunderbolt display. Maybe they can add discrete graphics to the display for the best of both worlds. Please Apple, make this happen. But where this laptop really shines is it's portability. Having used a 15" Pro laptop for the last eight years, the difference is striking. I was tempted by the 13" MacBook Air, but the grey bezel around the screen felt like a step back from the edge-to-edge glass that I have grown to love. This feels every bit like the Pro Machine I have been using for the last three years. I can't express how comforting it was to drop so much weight, yet retain the same great keyboard, trackpad, quality construction, and performance. Truly an amazing feat and why the "Pro" moniker is deserved.